Tension headaches are a common occurrence in our day to lives usually which are accompanied with neck pain. Tension headaches can also be known as cervicogenic headaches occurring from tension from your neck leading to a headache. Dull ache from the back of your head which can stay local to the base of your skull, but you may feel them radiating to your forehead just above your eyes. 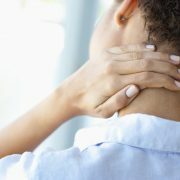 They may be worse with stress and exacerbated if you have neck or shoulder pain and worsened with neck movement however sometimes you may just have the headaches by themselves. 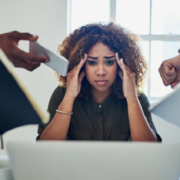 Tension headaches usually will progressively worsen through the day and can be worse in the evening or after a stressful day at work. How can Osteopathic treatment help? 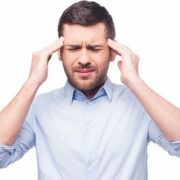 These headaches usually respond well to Osteopathic treatment and your osteopath will look at your neck and upper back to look at your movement and any muscle tension to help ease your headaches. Your Osteopath may look at your suboccipital muscles which are common muscles which can lead to you experiencing headaches and can refer pain from the back of your neck or back of your skull going to your forehead and you occasional may feel pain behind your eyes. 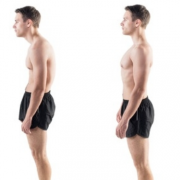 Your osteopath may also give you some advice on your posture especially when you are sitting at a desk for prolonged periods and could advice you to get your eyes checked which all will help to ease your symptoms. It is important to notice if you are experiencing any extra symptoms with your headaches including nausea, vomiting, dizziness, any change to your vision, difficulty talking or swallowing, fainting, uncontrolled eye movements or fascial numbness or pins and needles it is important to speak to your GP or seek medical advice if you experience any of these symptoms.